Today has pretty much consisted of sweating, whining about the heat, playing a little Skip-O, but we relented and finally got off our chairs for a few minutes. 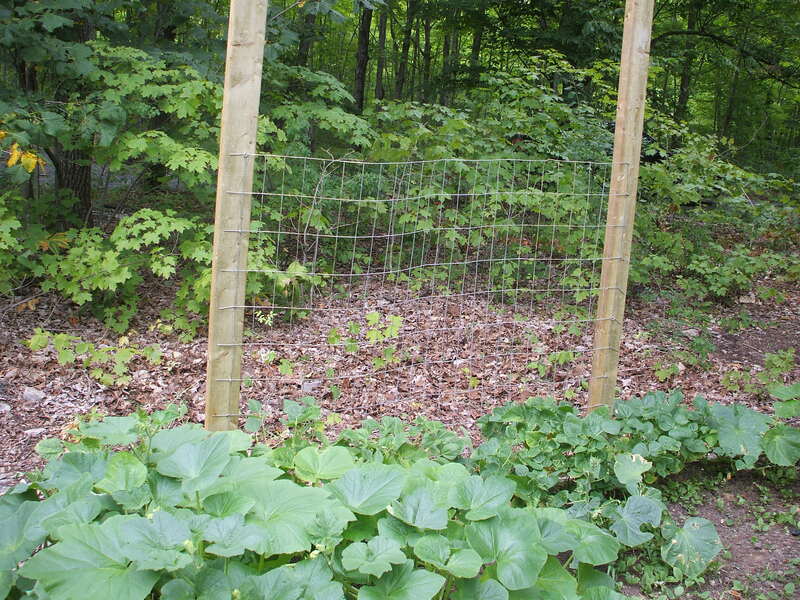 We put up a bit of fence for the pole beans to climb. Not too much work. We used about 5 feet of left over fence, two barely used boards, c-fencing nails and six screws to attach them to the base of the raised bed. Took about ten minutes but made us sweat like hell. I hope the beans don’t think that it is too hot to climb. Reblogged this on Andrea Hotovec Journal.